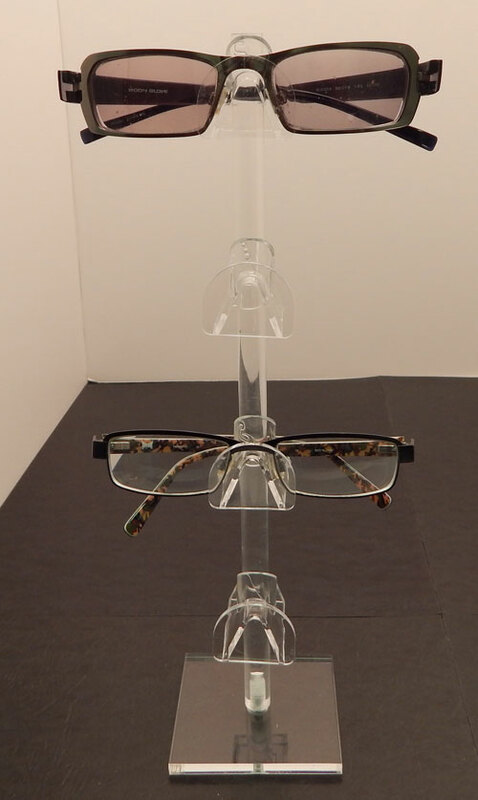 These acrylic eyewear display stands allow you to place your products at convenient locations for your customers. 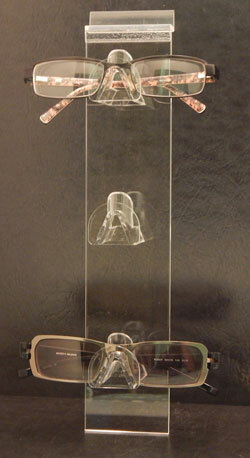 Due to their simple design these acrylic eyewear display stands do not occupy much space but provide functionality. 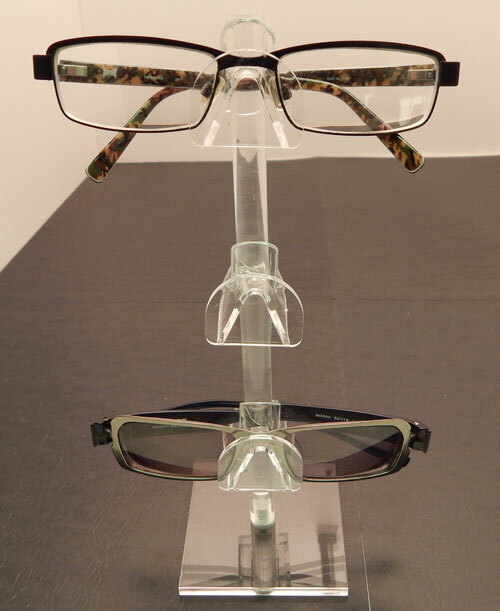 We have multiple tiered designs available to fit your specific display situation. 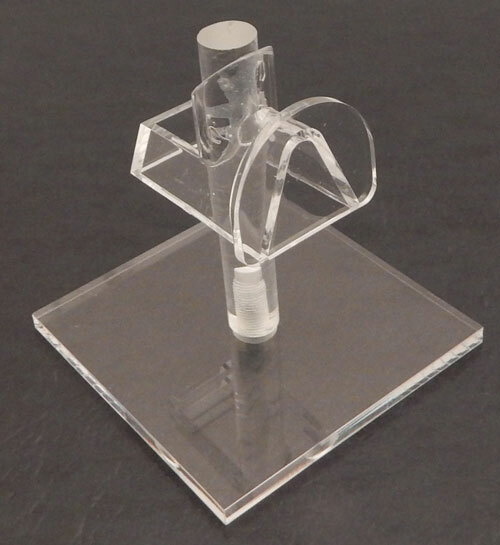 These stand are very durable due to the fact that they are constructed only from the highest quality acrylic materials. 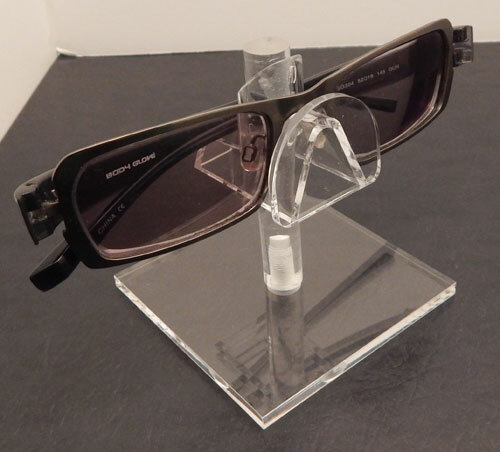 This acrylic slatwall eye wear display, showcase your eye wear in an easy to view vertical display. Also, available for a gridwall, 6 pair display. Choose from the size options below.